With some exceptions, citizens in Bosnia and Herzegovina enjoy good respect for their freedom to form associations, assemble peacefully in public and freely express themselves. Those freedoms are guaranteed in the constitution and through Bosnia and Herzegovina’s international obligations. International CSO, Human Rights Watch has drawn attention to the lack of media freedom and poor working environment for journalists in Bosnia and Herzegovina. In its annual report, the group stated that independent outlets and journalists continue to face threats during their work. As a decentralised state, Bosnia and Herzegovina essentially operates with two legal territories. Both the Federation of Bosnia and Herzegovina and Republic of Srpska have separate laws governing the formation and registration of civil society. This impedes associational rights, by making nationwide registration of CSOs cumbersome. As a decentralised state, Bosnia and Herzegovina essentially operates with two legal territories. Both the Federation of Bosnia and Herzegovina and Republic of Srpska have separate laws governing the formation and registration of civil society. This impedes associational rights, by making nationwide registration of CSOs cumbersome. Although registration of CSOs is not compulsory, there are advantages to being a registered association, such as tax exemptions and incentives. Because countrywide registration is a complex legal process and difficult to obtain, associations in Bosnia and Herzegovina mainly register at the local level. Only well-resourced and professionalised CSOs are able to attain countrywide status. In turn, this has contributed to a civil society sector that is fragmented along geographic and ethnic lines. 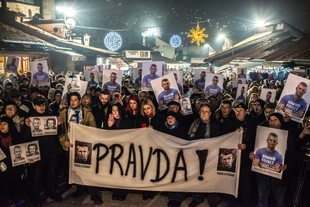 Aside from regulatory hurdles, LGBTIQ groups in particular suffer intimidation and harassment, with attacks on the Sarajevo Queer festival in 2014, leaving 2 people injured and recent homophobic slurs on venues hosting LGBTIQ art exhibitions in 2016. Different laws govern the freedom of assembly in the Federation of Bosnia and Herzegovina and the Republika Srpska, posing a challenge to movements aiming to catalyse citizen action across the entire country. Different laws govern the freedom of assembly in the Federation of Bosnia and Herzegovina and the Republika Srpska, posing a challenge to movements aiming to catalyse citizen action across the entire country. Depending on where a demonstration is planned to happen, organisers must comply with a variety of notification requirements before an assembly can take place. Localised protests and gatherings often occur peacefully and without major incident. Citizens recently organised without hindrance around issues such as religious freedom and worker rights.However, protests in Tuzle in 2014 turned violent, with several eyewitness reports of excessive force used by police against protesters. As government buildings were damaged in clashes, over 100 people were arrested and many more injured after police used rubber bullets to control the crowds.Containment tactics used included beating and detaining activists, as well as the destruction of journalists’ equipment to hinder coverage of protests. Due in large part to ethnic divisions within the nation, most media outlets have narrow audiences. As such, fragmented reporting of the news hinders a national narrative on current affairs, with many outlets openly aligned to political parties.